credit to: Suzanne Renaud (c) as the artist of the image. 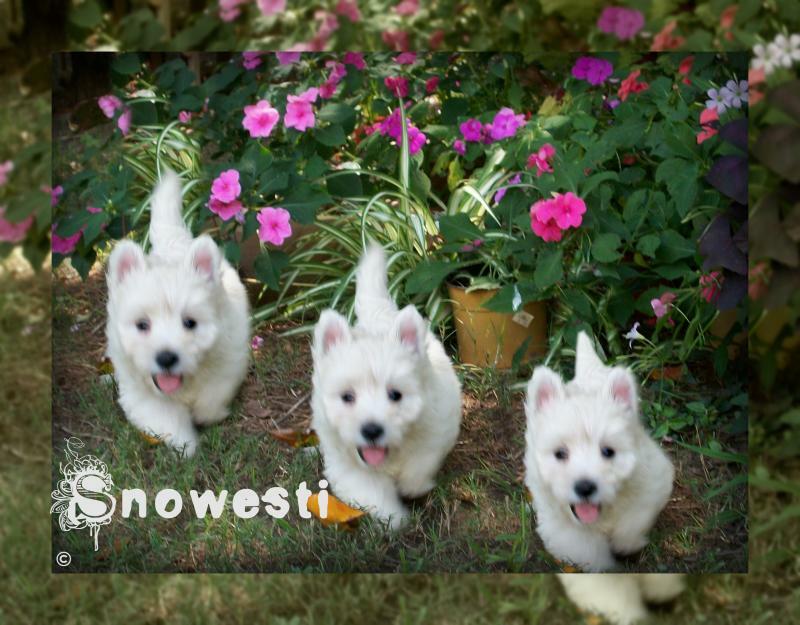 Looking for a new Westie puppy? 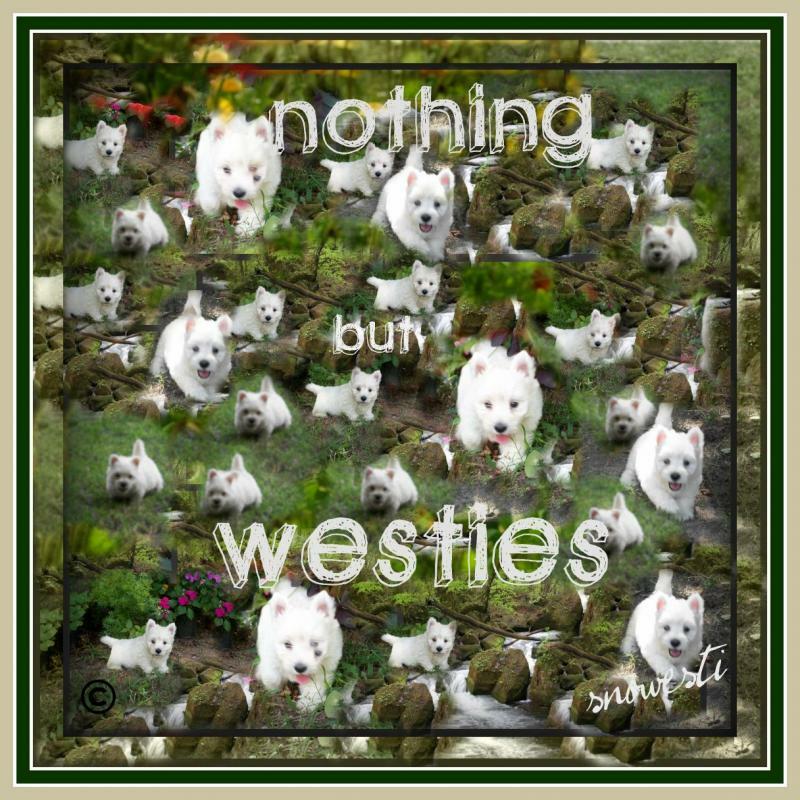 You will find most of your questions answered on this website about pricing along with actual pictures of my Westies. See FAQ page, most people find their questions answered on this page. You can contact me either by email, preferred or text. 404-333-7301. 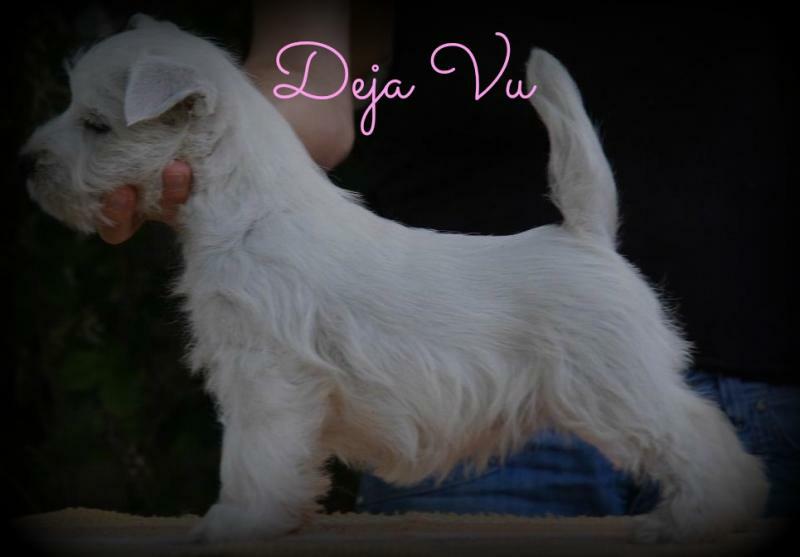 ~Female 1500/Male 1300~ Deja Vu's﻿ mother and father are both Int CH and Multi Champion, pedigree coming soon. 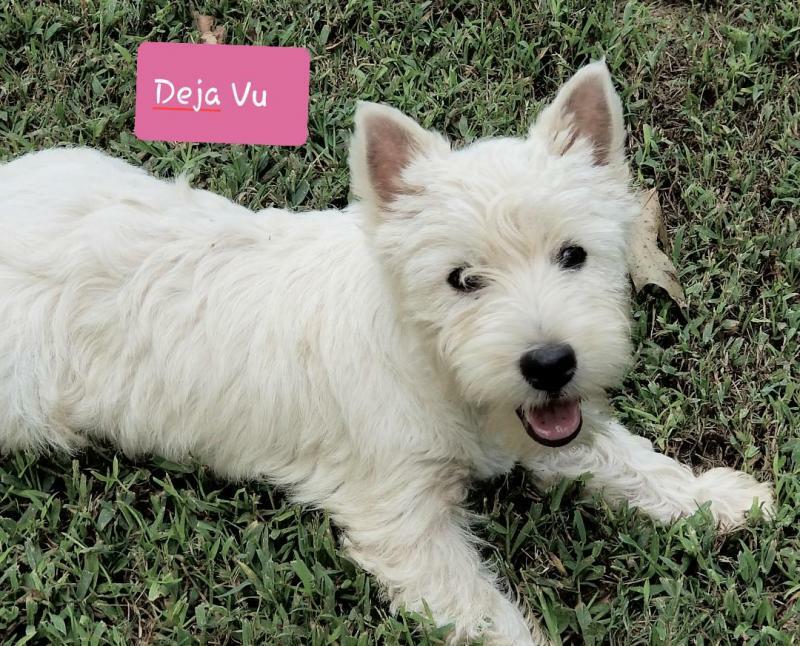 Deja Vu, also known as Daisy, her puppy fur is strippped out and her adult coat is coming in beautiful. several countries! Both parents on site. Pet homes only. NO Breeders. 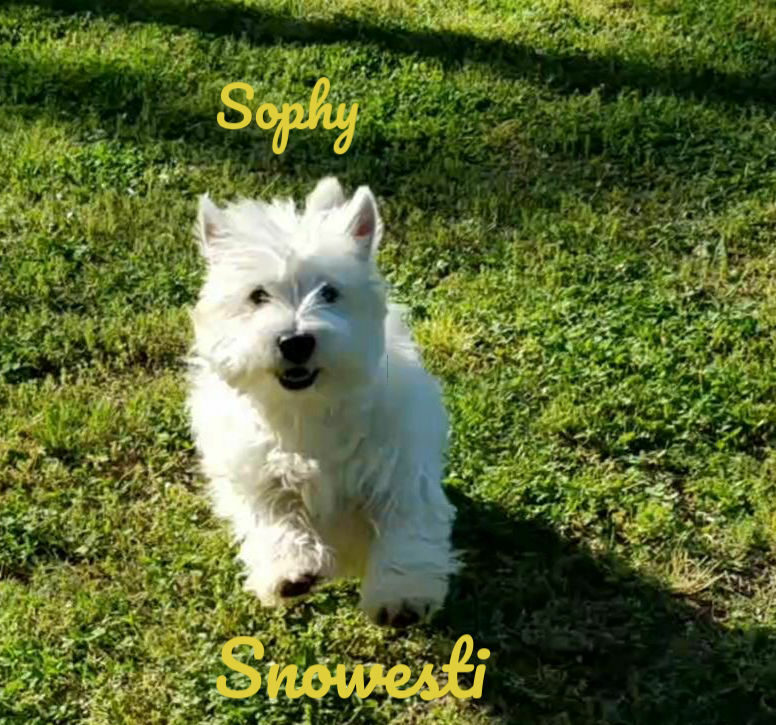 ALL THE BEAUTIFUL PICTURES YOU SEE ON MY WEB SITE ARE ACTUAL PICTURES OF MY WESTIES AND THEIR OFFSPRING (I had the same bloodline for 22 years on the mother's side, my first Westie was Bunny.) My sires are not related to my bloodline on mothers side. You can see more pictures of the 5 generations on my Westie family web page. 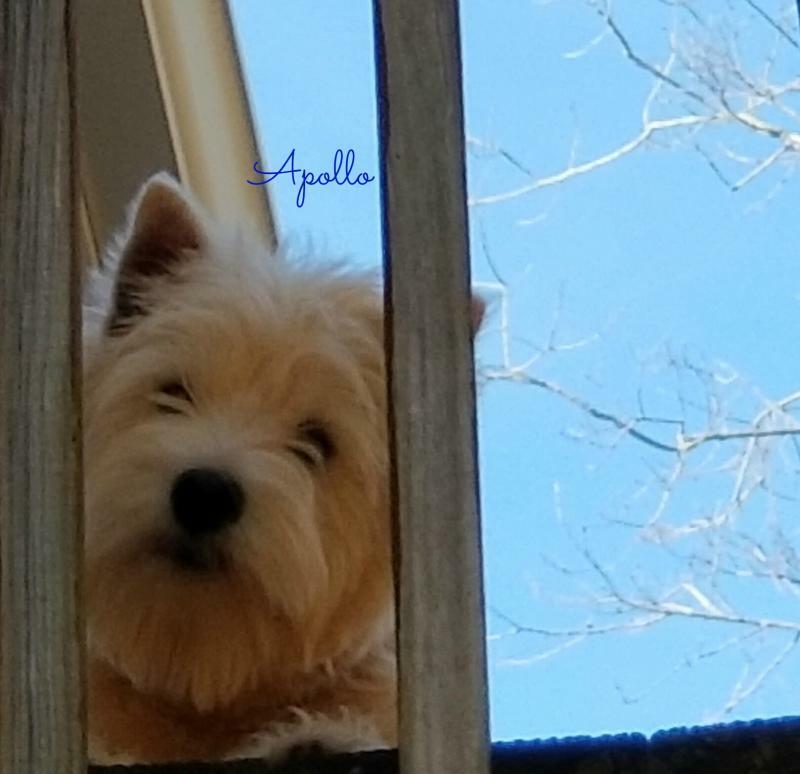 Annabelle, Coco litter 4 years old ago, lives with Alice in Hilton Head SC. PLEASE NOTE: I DO NOT take verbal deposits or reservations. 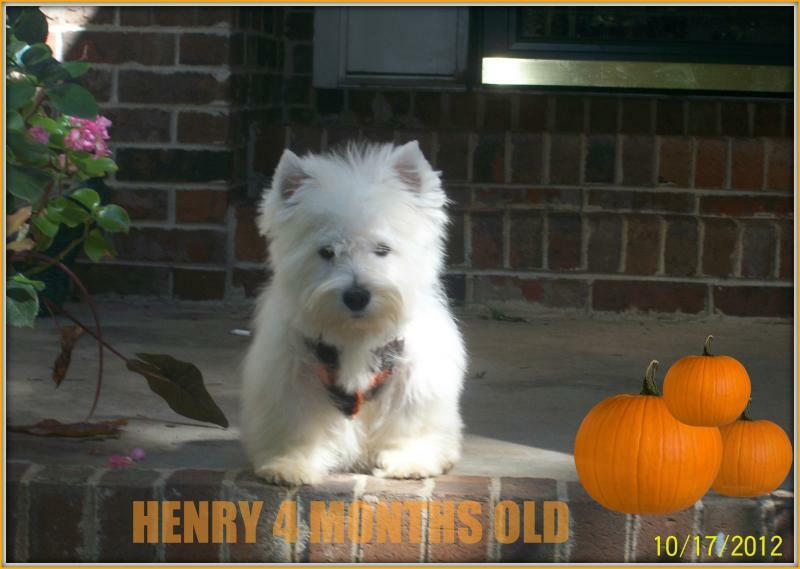 All puppies are up for adoption until a $300.00, NONREFUNDABLE DEPOSIT, has been received and confirmed. 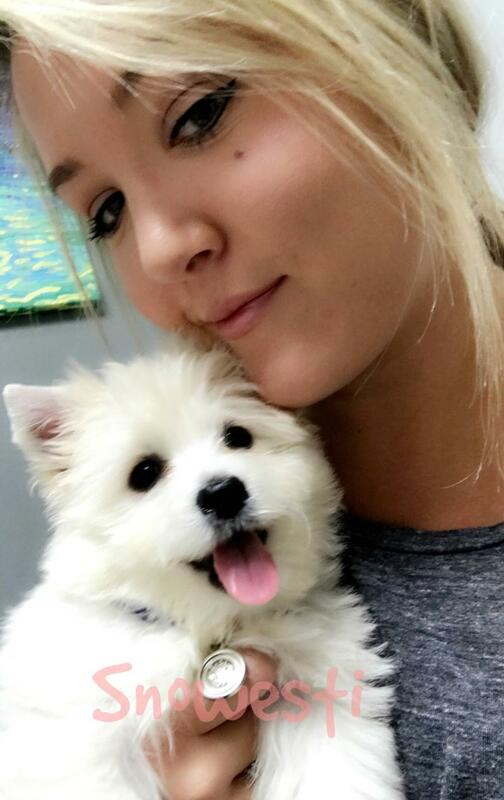 DEPOSIT APPLIED TO TOTAL PRICE OF PUPPY. I will accept a personal check or cash for deposit. 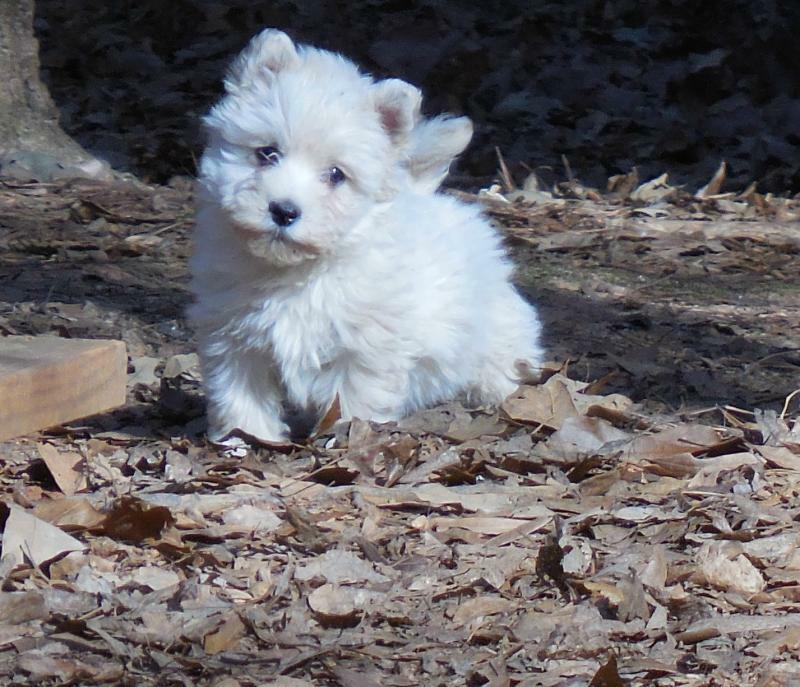 On day of pick up, I will ONLY ACCEPT CASH for the balance of the puppy. 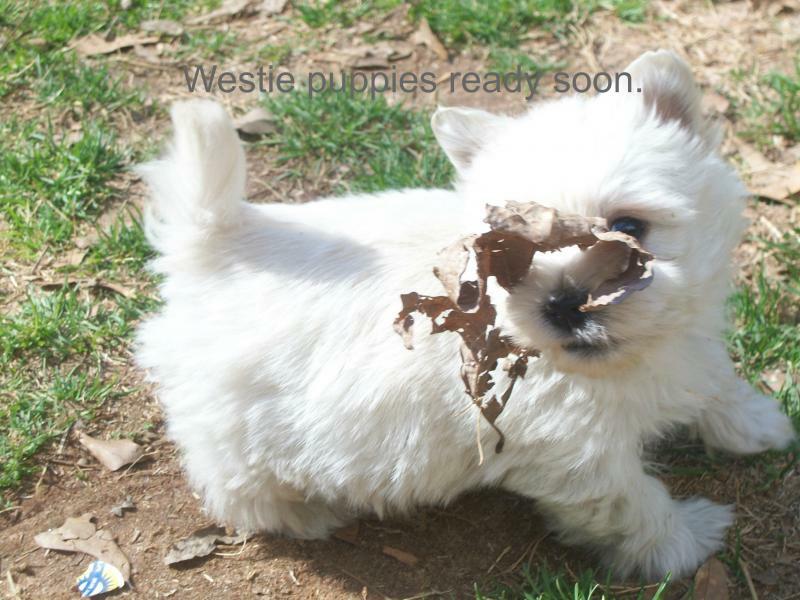 MY LITTER OF WESTIE PUPPIES WILL BE AKC OR CKC REGISTERED, YOU WILL RECEIVE LITTER REGISTRATION PAPERS AFTER PUPPY IS SPAYED/NEUTERED. SEE MY CONTRACT FOR MORE INFORMATION. THE PUPPY IS FOR PET HOMES ONLY, NO BREEDERS PLEASE. 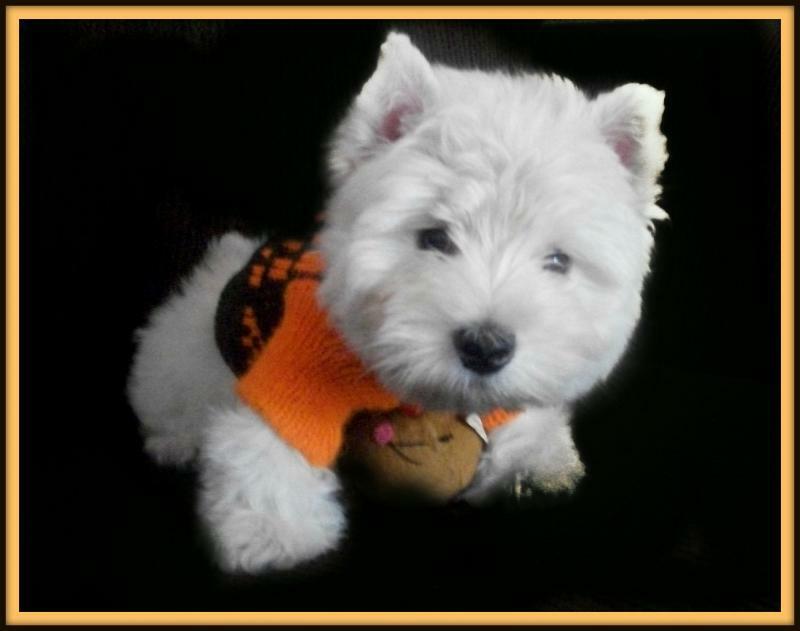 I require All my Westie puppies to be spayed/neutered at 7/8 months, no exception. My puppies are home raised inside my home. 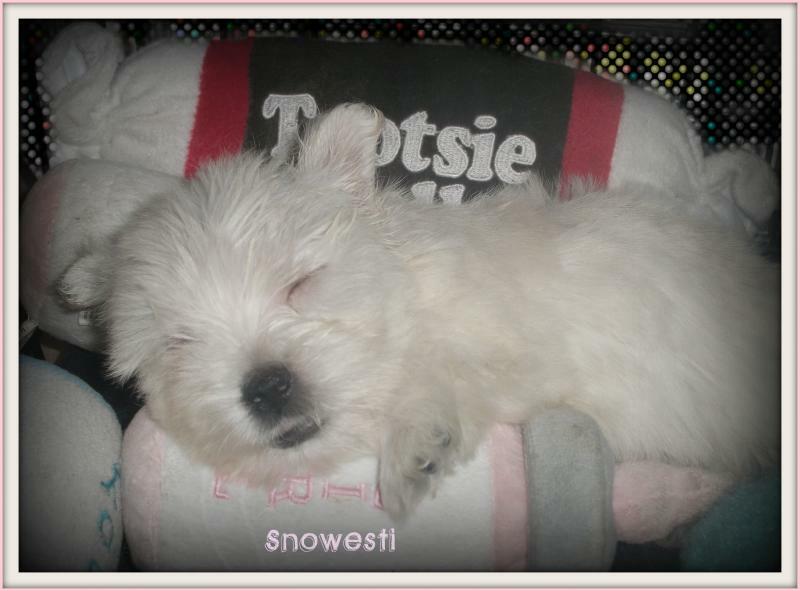 They are current on vaccines and dewormings before going to their new homes. I also begin the house breaking and create training before they go home. Health guaranteed. Both parents on site. 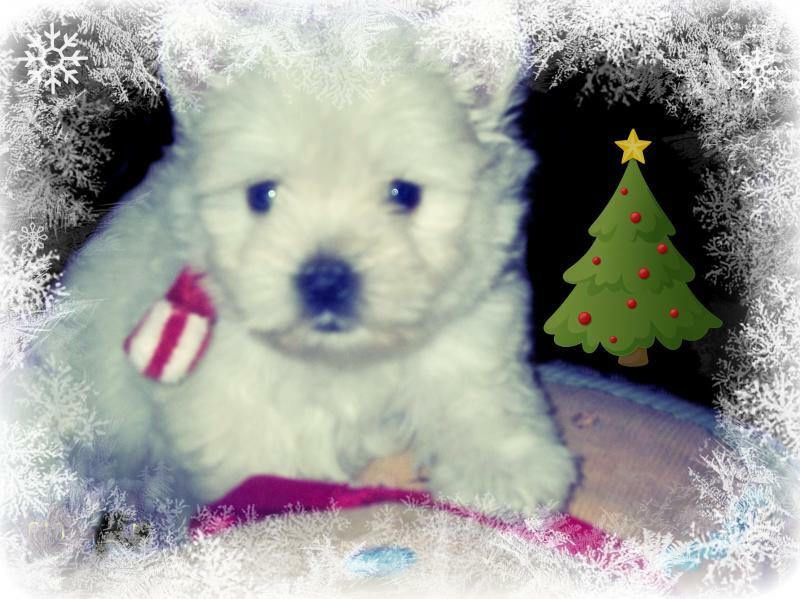 Please email me if you are interested in the puppies include your phone # and the best time to contact you. 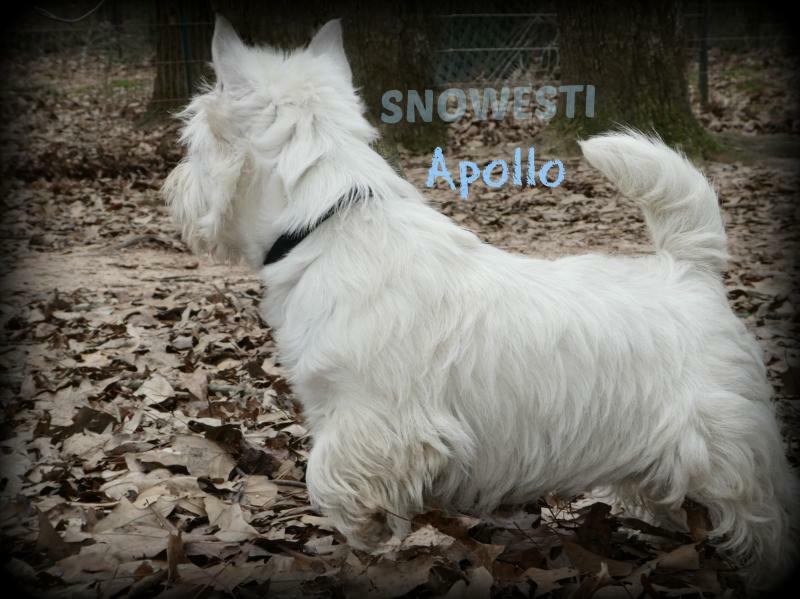 Web site and all contents including pictures and videos © copyright SNOWESTI 2017, all rights reserved unless stated.